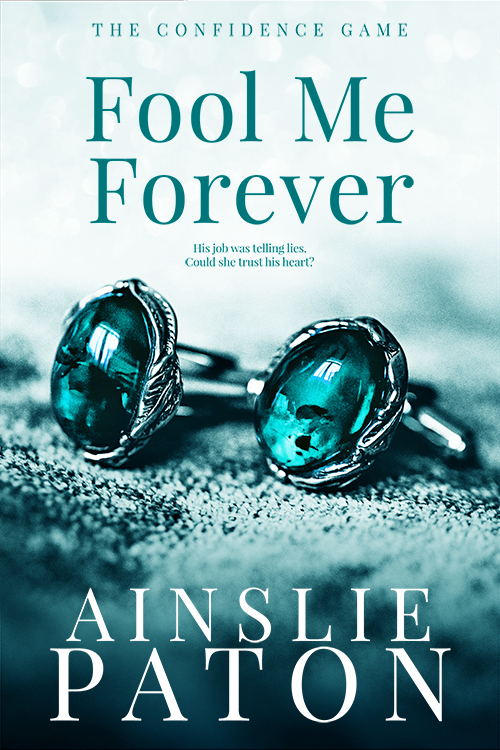 Fool Me Forever features Lenore Bradshaw, whose father went to jail for running a fraudulent investment scheme (think Bernie Madoff). Lenny is desperate to repair her family name and keep her not-for-profit alive and then along comes Halsey Sherwood who is from a long line of Robin Hooding con artists and runs a fraudulent investment scheme that funds social justice projects. Lenny wouldn't put Halsey out if he was on fire. He's getting away with the same crime that destroyed her family, except that a charity has misused her donation money and Halsey knows how to get it back. All she has to do is play PowerPoint Girl to his Excel Boy and they can expose a criminal and help bring down a despotic government. (Think government lead by a lying, cheating narcissistic prime minister of a post-Soviet state). There is absolutely no way they can be anything more than partners in grand bait and switch. Right! (Cue sarcasm) Shenanigans and HEAs ensue. Here is Lenny and Halsey about to share their first kiss. Halsey was on time, of course. Lenny opened the door to him, a tightness in her chest because of all the winged sprites that’d taken up residence there. Why was it this man, whose secrets she knew, whose profession she despised, who could inexplicably make her heart speed, her breath catch, and her insides flutter? She opened her mouth to say hi and swallowed the word when he put his hand to her waist. “Am I going to ruin your makeup if I kiss you?” he asked in a husky tone that melted critical faculties in her brain. 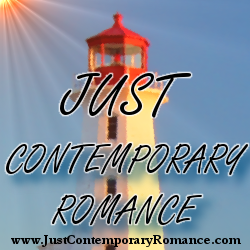 He took the slightest movement of her head as his answer and cupped her face, tilting it up, and bringing their lips together, giving her plenty of time to change her mind. He locked his eyes with hers until the hand on her waist became an arm at her back, and the sprites in her chest went still momentarily and then lifted into flight in one swooping motion, making her lean into Halsey and clutch at his suit coat. He had control of the kiss and made it a full-scale production that could play for years on Broadway. The soft, mysterious meeting of lips that opened out into something fuller and warmer and became a tangled greedy demanding force before a third suspenseful act where it nipped and teased and backed away to a cliffhanger, promising more. But he had. He made her heart swell and her senses swirl. She didn’t want to let go of his coat or move to draw him properly inside the apartment, and the words in her head weren’t the right ones to say aloud. Again. More. Now. She left him in the doorway and went to pick up her purse. From across the room, she snuck a look at him: black suit, rose-pink tie and pocket silk, white shirt, silver at his cuffs. The details were ordinary; the combined effect was like she’d shot-gunned half a bottle of whisky. He made her feel deliciously woozy. He wasn’t avoiding her anymore. He gave her the same rude appraisal she was covertly giving him, except his was no undercover exercise—he wanted her to know he was looking and that he liked what he saw. She tossed her house keys at him, and he caught them. A dangerous line of inquiry. “Nothing.” She didn’t want the responsibility of really knowing him. If she imagined him all gloss and no substance, it would be a no-brainer to walk away. He adjusted his tie needlessly, and that made her feel shivery. She still made him edgy, and she liked it. “I want to know all about what’s inside you, Lenny.” He pushed a folded knuckle against the elevator call button. Inside. That made her eyes flutter. She imagined how good that knuckle on his big hand would feel pressed against her call button. Unf. Unbelievable. He should stop talking. It was easier to deal with him when he was only semi-articulate. The elevator car arrived, and she stepped inside. He moved in beside her and reached for her hand. Giving it to him made her five kinds of foolish, because she wanted it like she always wanted Li-Lac chocolates—greedily, voraciously—and it was just two hands pressed together. She’d held his hand before, but it felt different now because she’d told him exactly where handholding was going to lead, and he’d had the chance to renegotiate the deal and let it slide. They made acceptable “how was your week, what about those Yankees, Giants, Rangers, Knicks” conversation, laughing at each other. It was clear Halsey wasn’t a sports fan, didn’t know his touchdowns from his home runs. By the time they arrived at Pier Sixty, they didn’t sound so much like a couple who should never have swiped right. Ainslie Paton always wanted to write stories to make people smile, but the need to eat, accumulate books, and have bedclothes to read under was ever present. She sold out, and worked as a flack, a suit, and a creative, ghosting for business leaders, rabble-rousers and politicians, and making words happen for companies, governments, causes, conditions, high-profile CEOs, low-profile celebs, and the occasional misguided royal. She still does that. She also writes for love, and so she can buy shoes, and the good cat food.